Earthdawn is a roleplaying game set in a world of high adventure, high magic, and terrible danger. 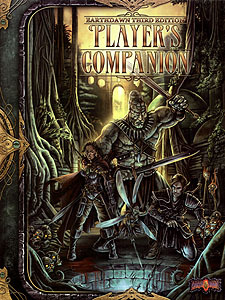 The Player's Companion expands the rules in the Player's Guide, taking player characters from Ninth to Fifteenth Circle in their Disciplines. This book features extended background information, new game mechanics, spells, talents, knacks, and much more!